We initially stumbled upon the work of Over The Moon with the rather delightful The Fall Part 1 back in 2015. Now though, after a couple of years of development behind it, The Fall Part 2: Unbound is now here and ready to take the world of A.R.I.D. on to the next level. We’d been lucky enough to speak to the creative director at Over The Moon, John Warner, a couple of years back when Part 2 was in its infancy and being showcased with a demo at EGX 2016, but now the full release is here, we thought it would be a great time to go and hit John with a number of questions; not just about The Fall, but also in regards some of his brilliant Developer Insight videos. Hi. 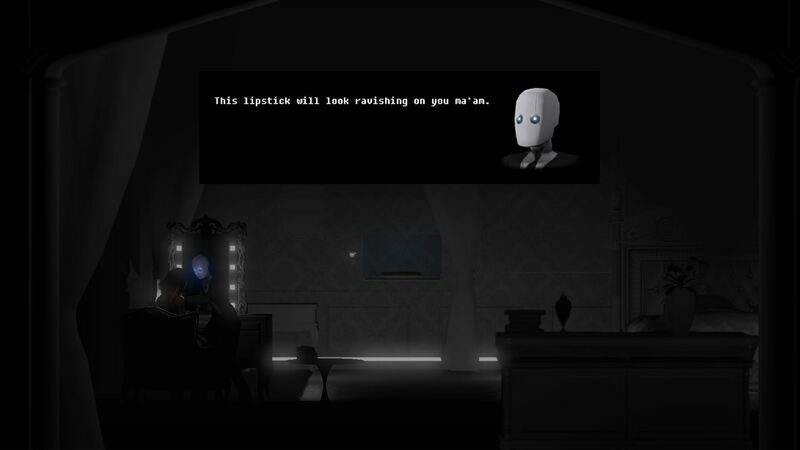 Please introduce yourself – what is your role on The Fall Part 2: Unbound and at Over The Moon? So, sell it to us… Why should gamers buy The Fall Part 2: Unbound? I’m afraid I’m not much of the hard-selling type, but if you held a gun to my head, I’d probably tell your readers to check out The Fall (Parts 1 and 2) if they’re at all interested in being engrossed in a great story. 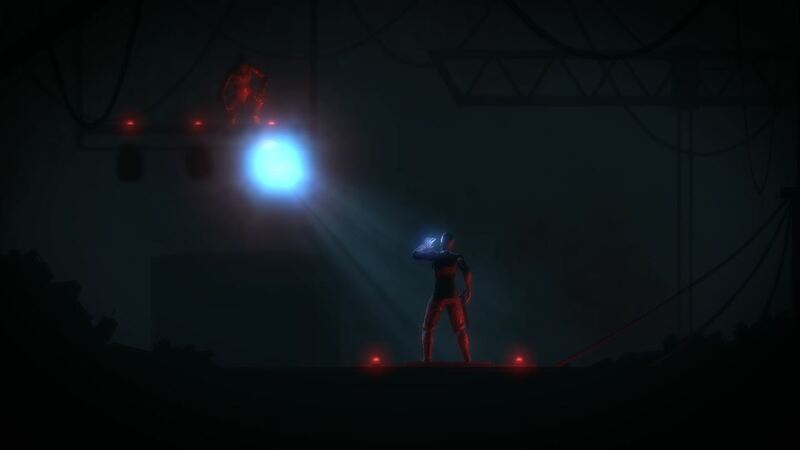 In The Fall, you play as the AI onboard a futuristic combat suit. The human occupant of the suit is unconscious, and so you must take control of the suit and drag his lifeless body towards help. 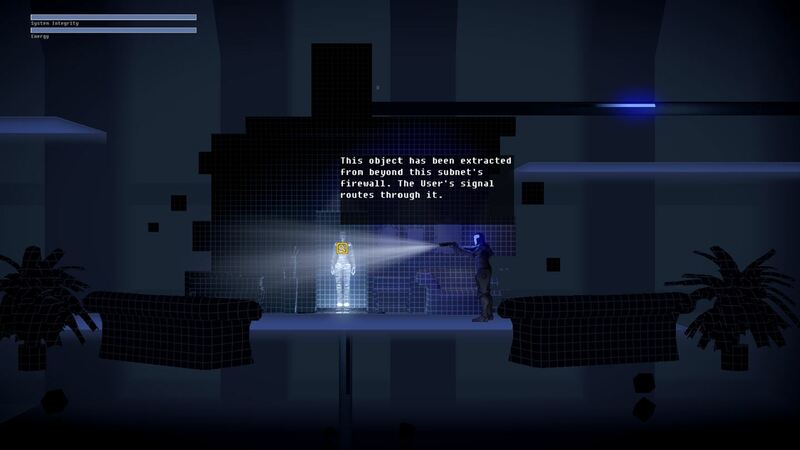 It’s a mix of Metroid, Limbo, and the strange sort of puzzles that you’d experience in a game like Monkey Island. 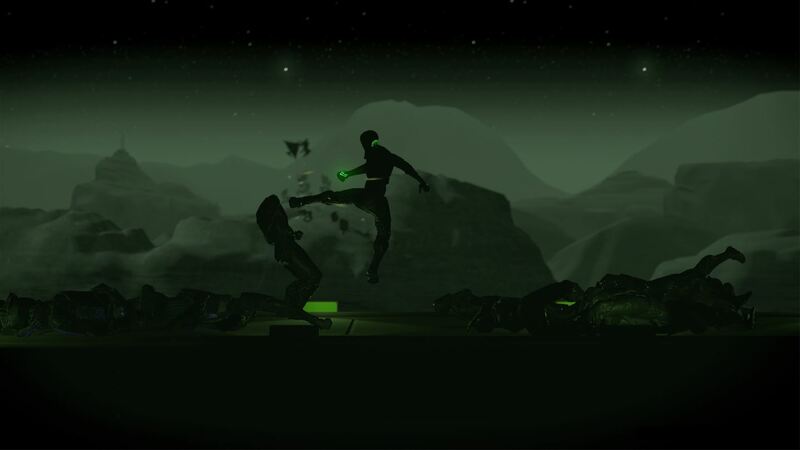 The Fall Part 2: Unbound takes that gameplay and story a step further and is loaded with incredibly bizarre challenges and interesting characters. And with that in mind, is it for the best that anyone tempted in by Part 2, checks out the awesome Part 1 first? Or is this fully accessible to a total newcomer? We’ve designed Part 2 to be a standalone experience. It should make sense if played independently of Part 1. However, without a doubt, fans of Part 1 will get a little bit more from the experience overall. The Fall was initially created as a trilogy. How did the idea come about, and why was it decided to release it across 3 chapters and not one larger game? Two answers here – scope and visibility. I knew that I wouldn’t be able to deliver on a massive project, and furthermore, I wasn’t established enough that a massive project was a safe bet, as it’s possible I would have simply launched it into obscurity. There’s a massive market-testing component here. The first project was a way of checking.. “hey… does anyone actually care about this?”. Turns out, people do, so here we are, making Part 2, and so help me, Part 3. The time between the release of The Fall Part 1 and The Fall Part 2 has been near on 3 years. We understand that initially the second part was due to drop around this time last year. Why the delay? Lots of reasons, but mostly it just comes down to scope creep. I had a series of ideas for where to take the project and as my great team and I started fleshing those out, they unfolded into being massively more complicated than I had anticipated, and because we started with a series of ideas, each of them needed to be intertwined. It’s just a matter of making sure that the ideas in the game are fully articulated, and that means that there are no gaping logic contradictions, characters that don’t need to exist, thematic statements that are out of left field, etc etc. It’s a long and painful process, and sometimes I can’t believe that we actually finished it, but we did. The Fall Part 2: Unbound is incredibly complex, but I don’t think that it’s cumbersome or inaccessible. Making something like that takes time. And whilst we are on that subject, when should we be expecting to see The Fall Part 3? Are we looking at a similar time frame? Not quite sure yet. My goal is to have it done much, much faster, but Part 2 has been somewhat of a humbling process, and I’m learning to not make crazy promises. One thing is for sure – The Fall Part 3 will be much simpler in a sense. That doesn’t mean better or worse – like I said, I’m quite proud of The Fall Part 2, but it’s big. The Fall Part 2 has 2 combat mechanics and 4 playable characters. From a production standpoint, that’s nothing short of madness. The Fall Part 3 will not steer into those waters, and hopefully, will be out much sooner as a result. Will the release of Part 3 really signal the end of the series? Is there a temptation to expand things some more? We’ll see how things go, and how the market is, etc. I will almost certainly be looking forward to taking some time off, and working on another project. We currently have no plans to create more parts after Part 3, but… hell, if Part 2’s production has taught me anything, it’s that I don’t have a crystal ball. Can you tell us more about A.R.I.D., the star of The Fall? How has this AI matured since Part 1? Will we be seeing further advancements as the trilogy concludes? A.R.I.D. (or “Arid”, as she now calls herself) will certainly evolve more as the trilogy continues, but that’s a conversation for a much later date. In terms of her progression in Part 2, we wanted to handle that in a way that was very honest and authentic, and that was a hell of a task, given the state that we left her in at the end of Part 1. There’s a common motif in stories about personal development where people move through developmental milestones too quickly, in our opinion. You can’t take a story about an AI who’s stuck in a rigid set of rules, bump her up against a few problems, and then have her turn into some sort of enlightened figure. The Fall Part 2 picks up exactly where Part 1 left off, and we give Arid a good honest opportunity to play inside of the space of her expanding consciousness. It was important to us that her character development felt correct. Going back to Unbound specifically, how many hours of game time should it take the average player to complete? So far, it looks like the answer to that question is about 12 hours, but it’s very difficult to say when you’re talking about an adventure game. That could range as low as 5, or go as high as 20. In any event, it’s much, much larger than Part 1. We had a few 1.5 hour playthroughs of Part 1 on the short side. We’ve had some playthroughs of Part 2 that were closer to 20 hours on the long side. I’m really not sure! What about replayability? Where is the draw for players to come back time and time again? This time around there should be a fair amount of replayability actually, particularly if you’re interested in lore, and understanding how certain elements of the story unfolded. I don’t want to give away spoilers, but there are a few elements that should make more sense the second time through. Don’t get me wrong however – the game should make sense on its first playthrough, but it’s always nice to have a little depth to return to, if you’re so inclined. One of our issues with the original game was in the twitchy controls. Have these been ironed out and what other improvements should we expect to see with this second chapter? Absolutely, the combat has been completely and totally redesigned, and has very little requirement for twitchy-type mastery over the joystick. There is shooting combat, but it’s centered around timing and navigation, not fine dexterous control. The combat was the biggest critique that we got on Part 1, and also the biggest one that I entirely agree with. This time around I gave it a complete rethink. Hopefully players will enjoy it. Storytelling is quite obviously a big part of The Fall trilogy – how much time and effort have you put in to ensuring that the tale was just right? How difficult has it been marrying up the clever puzzle side of things with the intriguing story? I’m not even sure if I know how much time was put in. My writer Caleb and I spent lots and lots of time talking and thinking, and pushing, and pulling until the story started forming into some semblance of order, and Caleb worked incredibly hard to make sure that the writing was as solid as it is. The puzzle side of things was its own challenge. I spent a lot of time coming up with premises for puzzle set-pieces that worked primarily with the characters and their struggle. I would then chat with Caleb about it, we’d go back and forth for a while, and sometimes I’d return to the drawing board for another pass. We’ve had entire sections of gameplay that were fun, that have been thrown away, because they didn’t quite work well with the story. As a result, hopefully, players should always feel nice and situated in the world, doing something meaningful, for reasons they understand. That’s the goal! Can you tell us more about the achievements contained within Part 2? Gamerscore makes the Xbox world go round and there is nothing better than hearing that satisfying ping. Gathering up the full 1000GS with Part 1 was reasonably simple, so should we expect the same this time round? Or are there some interesting cheevos to hunt down and collect whilst we are taking in the Part 2 experience? There are a lot more Achievements this time around, actually, which I thought was a fantastically fun idea, but who knows, I might get crucified by the community for it. The goal was to make a lot of Achievements that had interesting hints, so they would feel a little bit like a game themselves. Our gameplay isn’t centered around twitchy head-shooting, and so skill-oriented Achievements rarely work for us. The Achievements in Part 2 are a lot more like riddles. Whether the community likes this or hates it… er…. well.. I guess we’ll find out! Away from The Fall and you’ve recently released a number of rather fascinating Developer Insights videos, looking at some iconic games. How did all that come about, what was your favourite, and are you looking into creating more? Thank you! And yes, I’m absolutely wanting to make more, but there will likely be a small delay between videos, as I manage this launch. The idea for the series came about out of a desire to integrate different parts of my life, I suppose. I’ve always kinda wanted to make video content about ideas in games (or film) that I really love and respect, but I’ve never done it because development was more important. Everyone’s like this… you know… you make choices and sacrifices. Things changed when I started struggling to market Part 2, and specifically, all of its fancy gameplay and story integration. That isn’t something that fits well in a single marketing line. It finally struck me – if I make videos about things that I find beautiful, not only am I giving props to other developers, but I’m also educating an audience about what I think awesomeness is. It just so happens that The Fall represents that same sort of awesomeness – or it should, anyway! I directed the damn thing. Oh, and I’m going to have to point to Dark Souls as one of my favorite games to analyse. I have a few more videos about the Souls series lined up. It’s a strange series and it really calls out to me, for a reason that’s hard to pin down. And finally, could you tell us of any plans you have away from The Fall? 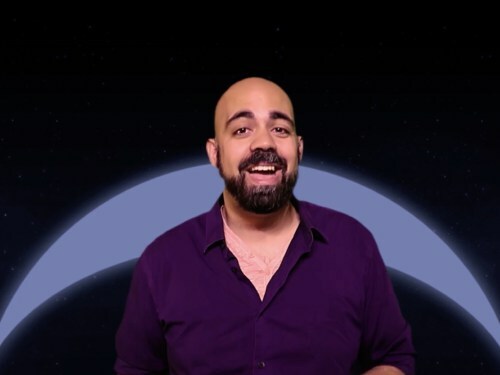 What does the future hold for both you and Over The Moon? I’m not thinking too far ahead. I’ve got a few ideas for games that I’d like to make, but the big question right now is production size and how to make content without needing to spend millions. We are in an incredibly risky market right now, and if we’re going to survive, that will mean staying a reasonable size and keeping our costs low. That being said, if we can’t rise above the tidal wave of other indies, we’ll drown. It’s a tricky balance, and our future will be about staying in that balance. Massive thanks go out to John for taking the time out of what must be a hugely busy schedule as The Fall Part 2: Unbound releases on Xbox One, PS4 and PC. We’ll have our full review of the game up very soon, but should you be intrigued by the trilogy and still haven’t spent time with the first part of The Fall, then you really should start there.